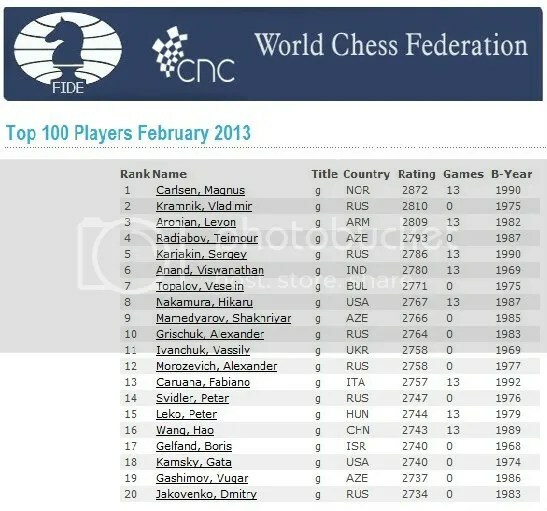 The official FIDE ratings for February 2013 has been published with GM Magnus Carlsen breaking his previous ‘All-Time-High’ rating of 2861 (January 2013) to the ‘New-All-Time-High’ rating of 2872 and that is a +11 higher. 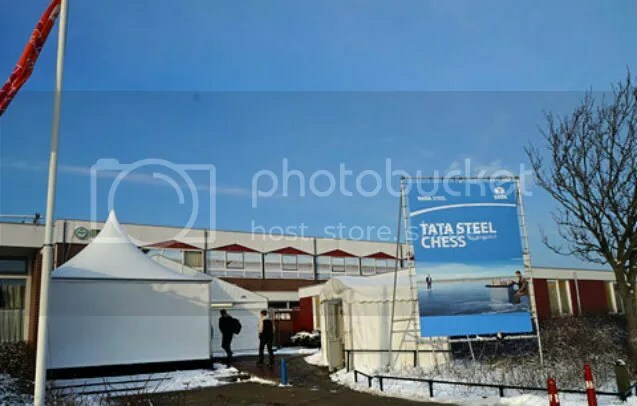 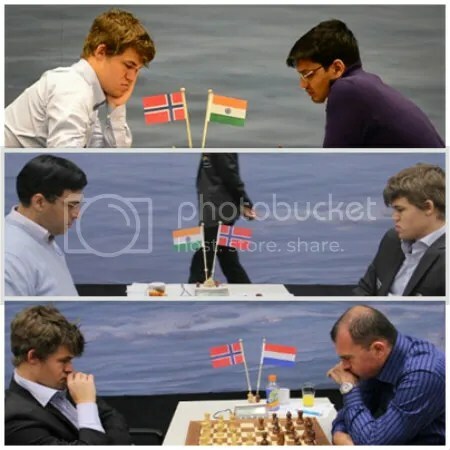 This ‘New-All-Time-High’ official rating record of 2872 was accomplished by Magnus Carlsen at the 75th Tata Steel Chess Tournament on 12 – 27 January 2013 in De Moriaan Center in the Dutch sea resort of Wijk aan Zee. 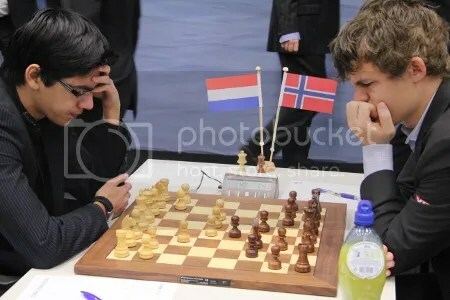 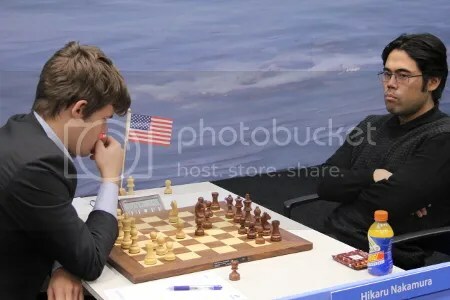 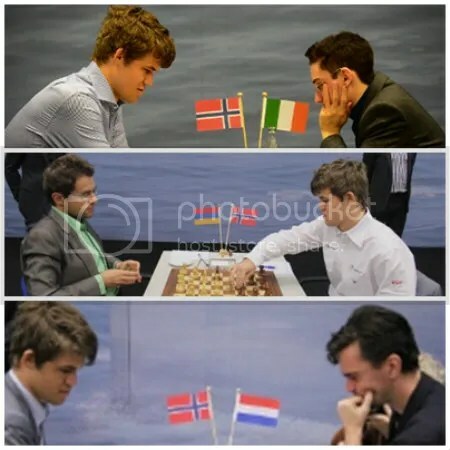 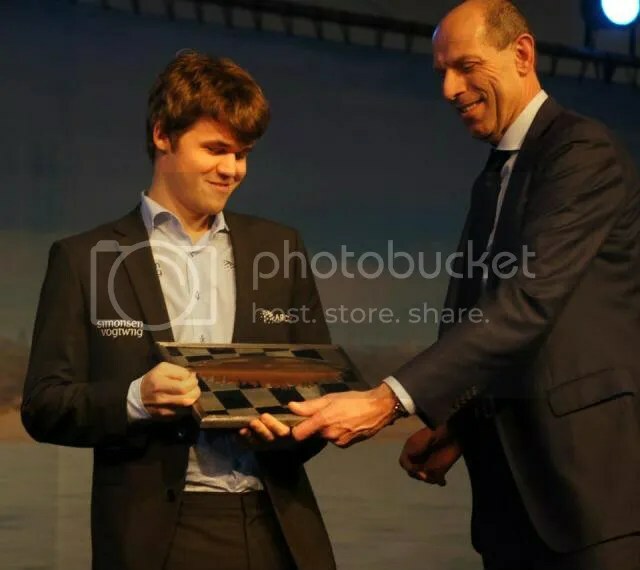 At Wijk aan Zee, Carlsen scored 10.0/13 points with a rating performance (Rp) of 2933 and winning this prestigious major tournament (Category 20; ave rating of 2732) pulling away from the field of 14 players with a +1.5 points margin to the 2nd placer GM Levon Aronian who scored 8.5/13 points. 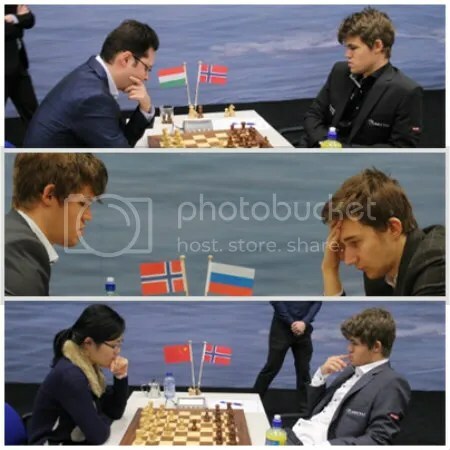 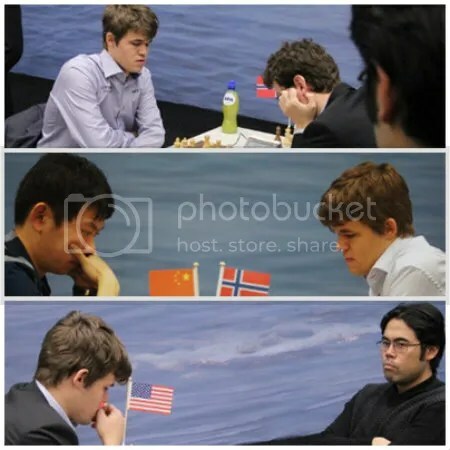 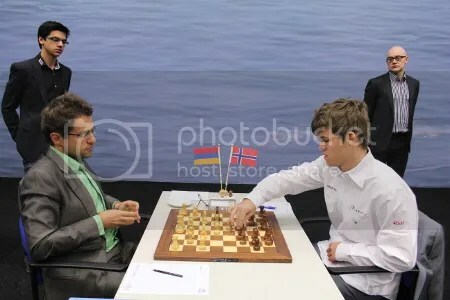 Magnus Carlsen round-by-round results at Tata Steel 2013 showed that he also broke his own unofficial all-time high ‘Live Rating’ record of 2863.6 (recorded in R6 at 2012 London Chess Classic on December 7, 2012) when he defeated GM Hikaru Nakamura in R12 and registered a new all-time high ‘Live Rating’ record of 2874.1 on January 26, 2013. 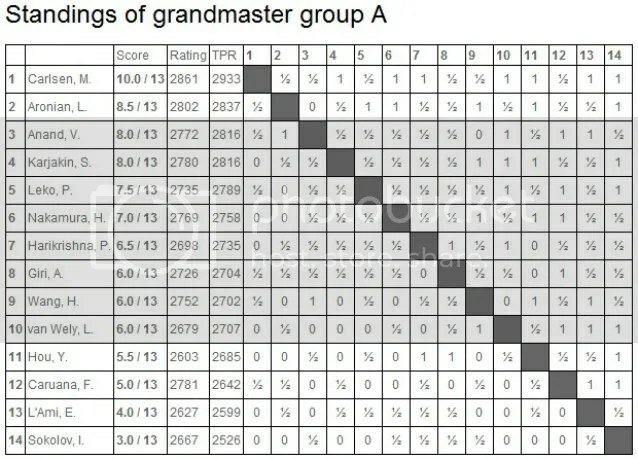 Round-by-round result of Magnus Carlsen @ Tata Steel 2013 Group ‘A’. 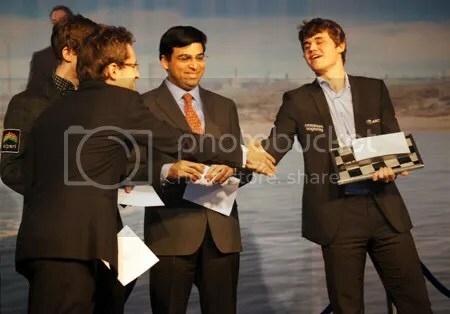 Carlsen final round (R13) drawn game against GM Anish Giri registered a live rating of 2872.3 that was converted to 2872 in FIDE’s official February 2013 rating list, the new official World’s highest rating ever recorded in history.